Why does a state owned bank subsidise depositors? 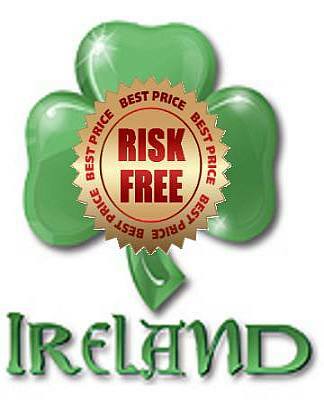 There is concept in finance of a ‘risk free rate’, and normally that is seen as being the rate of return on money by a sovereign entity (in our case it’s Ireland), so in a rational market it should always be the case that anything with an implicit state guarantee should pay far less than those without it, because those without it have to reward investors by offering more in order to attract them. Oddly, in Ireland the institutions implicitly backed by the state are actually paying over the odds, and in effect that means a transfer is occurring from tax-payer to depositor, in short, we are being ripped off when our sovereign guarantee is not factored into pricing. For example: Anglo Irish Bank are paying 3.1% for a demand account, this means you can take your money out whenever you want, BOI, AIB, INBS, NIB and many others are paying a mere 0.1% meaning that Anglo are paying a full 300 basis points or 3% more than competitors who are not state owned (albeit they are partially state owned). Rabo are paying 2% so what we are seeing from a deposit account perspective is that Rabo are a better institution in terms reliability than our own state is. What a joke…. But it’s not so funny really. Then we have An Post, an implicit state guarantee and you can lodge up to €120,000 with them and earn a TAX FREE rate of 3.23%, normally you’d have DIRT which would take 25% away from any deposit gains, but in this case you don’t, so in order to earn the equivalent elsewhere you would have to be making 4.31%. Again, this is an example of paying way over the odds for funds, the state should in fact be offering well below market rate levels of interest because their return is guaranteed in a way that no other institution can copy. Bond income is taxed at your own rate of tax, we’ll assume that you had a good year and are on the marginal rate of 41%, and see what kind of yield you would need from any other bond to earn 3.23% after tax. So if you were to go out and buy a corporate or sovereign bond you would need to be earning 5.47% in order to just match the offering by An Post, and you wouldn’t get a return like that which is backed by a sovereign guarantee! (exception is perhaps a Greek bond). So why are we paying so far over the odds? That’s a question, I certainly don’t have the answer. With An Post, are you taking the risk of an Irish sovereign debt default? Hi FP, you are taking on a few risks, there is inflation risk over the period (but there are withdrawal options and inflation isn’t likely to be 10% over the coming 3 yrs) and then there is institutional risk of An Post which is the chance that they will be unable to meet their liabilities, lastly, if this did happen you are ultimately taking on sovereign risk as they are the final underwriter. The issue we have is that the sovereign entity has an implicit guarantee behind an institution it owns outright and yet they are paying over the odds for the money and that is not only a mistake but morally questionable.